Cogito Group is encouraging Australians to make internet safety a top priority, partnering with Stay Smart Online to promote Stay Smart Online Week – a national awareness initiative dedicated to boosting Australia’s cyber resilience. For most of us, the internet opens up new opportunities – we can shop, bank, research, work and connect when and where we want to. But the online world can also give criminals opportunities to steal money, information and identities. 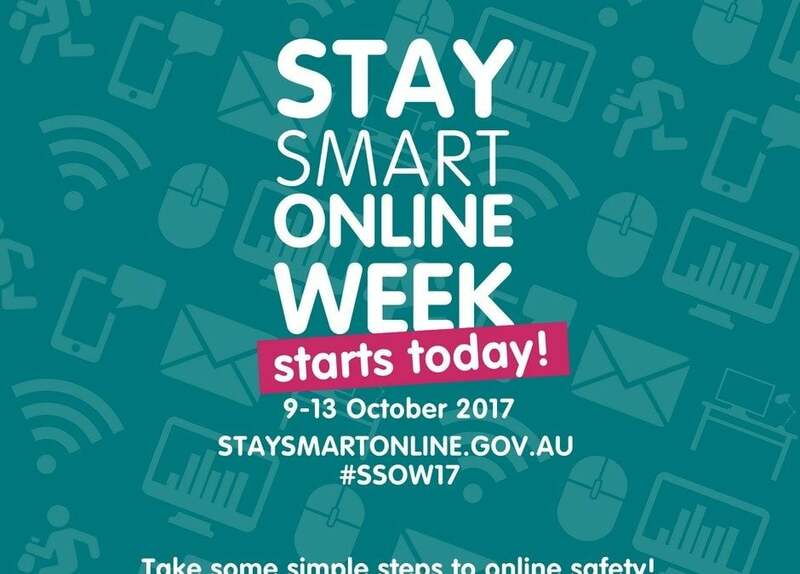 Stay Smart Online Week, which runs from 9 to 13 October 2017, is a national awareness initiative that puts online security in the spotlight, and reminds us all to set aside some time to focus on the important but easy steps that we can take to stay safe online. This year’s Stay Smart Online Week is all about simple steps to online safety, with a focus on five key areas: privacy of your personal information, strong passwords, software updates, backing up your important information and avoiding online scams.Thankfully, there are some easy things that we can all do to dramatically improve how we protect our personal and financial information online, and recover if things go wrong. Even small actions can make a huge difference. Be on the lookout for suspicious emails or messages, and think before clicking on links or opening attachments. Putting an online security awareness program in place to keep you and your staff informed about good online security practices. With cybercrime estimated to cost Australians more than $1 billion per year, and around 87% of us accessing the internet every day, it’s more important than ever that we take the time to learn about how to keep our information and assets safe when we’re online. With almost nine in ten Australians now accessing the internet daily Richard Brown, Managing Director at Cogito Group said learning to be safe online is relevant to every aspect of our lives, whether at home, in the office, or at school. “Stay Smart Online Week is the perfect time to talk with your family, friends, and employees about internet safety, so that as a community, we’re better prepared to avoid online threats, and to recover when things go wrong online.” Richard Brown said. Stay Smart Online Week is part of the Australian Government’s Stay Smart Online program, designed to help everyday Australians and small to medium businesses understand the risks that come with using the internet, and the preventative measures they can take to protect personal information and assets from online scammers. The initiative is supported by more than 1,400 business and community partners across Australia, including Cogito Group. Keep an eye on our social media channels for daily hints and tips for staying smart online. For more information about Stay Smart Online Week 2017, visit www.staysmartonline.gov.au.